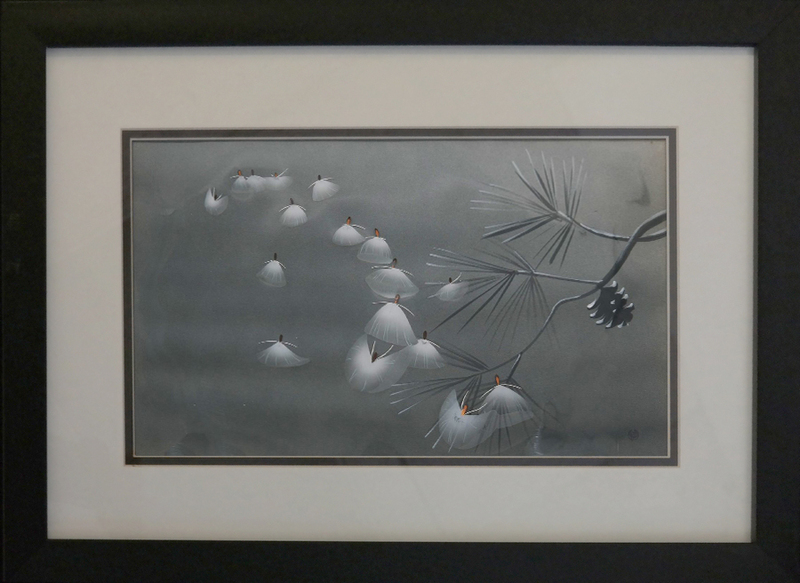 This is an original Courvoisier Galleries setup featuring the magical milkweed ballet from the "Waltz of the Flowers" sequence of Fantasia. 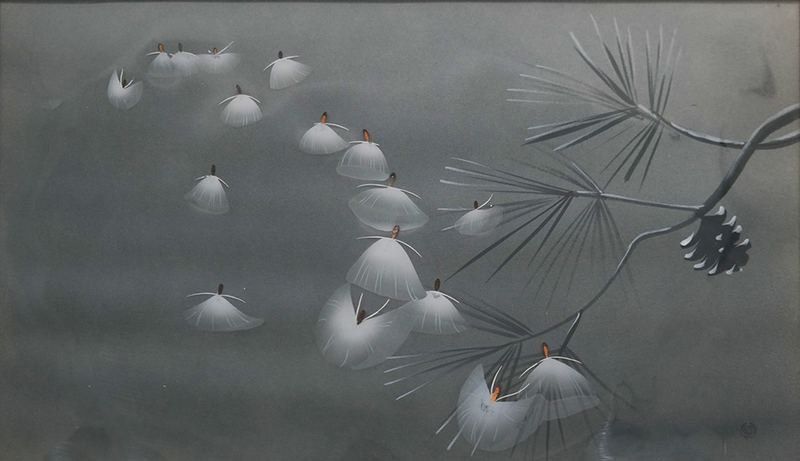 This production cel features delicately dancing milkweeds and was created at the studio and used during the production of the film. The overall measurements of the piece are 15.5" x 21.25" framed with the mat opening measuring 8.5" x 14.25", and the image itself measures 7.5" x 9". The Courvoisier airbrush background features a WDP stamp in the lower right corner and the piece is in amazing condition for such a vintage piece of animation history.